For a small island nation, Jamaica is famous for many things — reggae music, the best coffee and of course the sprint capital of the world. A visit to this tropical haven often involves sun drenched days on the white sand beaches, and dancing to reggae music in between copious sips of rum. 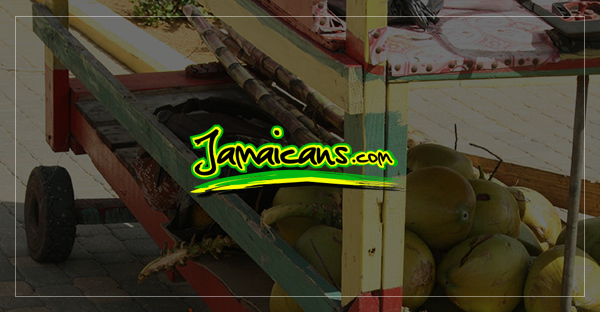 But there are many different things to see and experience during a trip to Jamaica. Here’s a list of 26 things that should be on your Jamaica bucket list. 1. Sip on the refreshing juice of a fresh coconut as you laze away on the spectacular white sand of the seven mile beach in Negril. 2. Take in the breathtaking island sunset from the Negril cliffs. 3. Embark on an exhilarating climb up the famous Dunns River Falls. 4. Attempt a death defying dive into the mesmerizing natural pool of the Blue Hole in Ocho Rios. 5. Surround yourself in rich flora and fauna as you navigate the waters of Mayfield falls. 6. Unleash your animal spirit with a daring zip line swing through the forest at Mystic Mountain, then relive the classic Jamaican film ‘Cool Runnings’ with a thrilling bob sled ride through the rainforest. 7. Try to catch a glimpse of the infamous ‘White Witch’ ghost that haunts the Rosehall Great House. 9. Swim and frolic with the dolphins at Dolphin Cove. 10. Sip on a cold Red Stripe beer and indulge in the mouthwatering flavours of authentic Jamaica jerk chicken. 11. Take an intimate look into the life and work of reggae legend Bob Marley with a visit to his museum and former studio in Kingston where a host of memorabilia including his favourite guitar can be seen. 12. Enjoy the world`s fourth best ice cream at Devon House – the Dragon Stout flavor is highly recommended! 13. Take the breathtaking nature tour at the little known botanical gardens and mini zoo at Kokono Falls and Park in St Ann. 14. Spend a day swimming, eating and learning about the culture with local folks at the Winnefred Beach in Portland. 15. Step back in time to Jamaica`s colonial past and tour the Croydon Plantation, Catadupa, St. James, where you’ll sample local fruits and enjoy a hearty Jamaican lunch.